Should Tony Blair Be “Held To Account”? Sofar 10,000 Say Yes! The Chilcot Report – published earlier this summer – established the extent of former UK Prime Minister Tony Blair’s role in the invasion of Iraq in 2003 – and it found that much could have been done to resolve Saddam Hussein’s control over the region at that time via more peaceful means. Following the publication of the report, with a word count going into the millions and an outcome that the media generally regarded as being fairly damning for the ex-Prime Minister, Blair was quick to establish that he acted with appropriate action during that time. However, many media outlets, and people directly affected by the conflict at the time of it occurring feel otherwise – and there has been widespread concern as to whether or not Blair should be held to account for his role in the Second Gulf War. 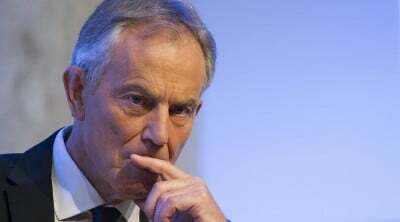 Following the report’s publication, a petition has been gathering steam which demands that Blair should face further measures as a result of his role in proceedings – and as the petition has been submitted via the UK Parliament’s website, the British government is now required to respond to the submission as it breaches 10,000 signatures. It is not currently known what the stance of MPs will be on the matter – however, the Chilcot report made it clear based on evidence available that the Iraq war occurred as a result of flawed intelligence, meaning that many citizens feel it should be necessary for Blair in particular to face further action. The petition in question requests that Parliament ‘should now agree to a process by which it can hold the former Prime Minister to account’. While it is a shout away from the 100,000 signatures needed for it to be debated in Parliament itself, it has already gained the attention of mainstream media and, as stated, will need to be addressed by elected representatives regardless of what the general consensus is in either Houses of Parliament. The Chilcot Report arrived at the end of a whirlwind of a month in UK Politics, with the country having decided to leave the European Union via a ground-breaking referendum – and the resignation of a number of public figures, such as Prime Minister David Cameron. The UK now has a new PM in the form of former Home Secretary Theresa May, and the leader of the opposition Jeremy Corbyn continues to stand his ground while faced with a forthcoming leadership election. Whether or not Blair will be taken to task, it is clear that the summer of drama for UK politics is far from over.